I have heard many singers lament the lack of a clear path for becoming an full-time opera singer. It may not be as clear as becoming an accountant, per se, but there is a fairly clear process most singers follow. When non-singers ask, “An opera singer? Well, how do you do that?” I often compare it to becoming a medical doctor. After undergraduate, you go on to graduate school for more specific training. After that follows a slew of residencies and internships. The main difference here being that medical professionals do not freelance for the remainder of their career. Still, singers like pre-med majors are working hard to get noticed by the best institutions through each level of professional development. 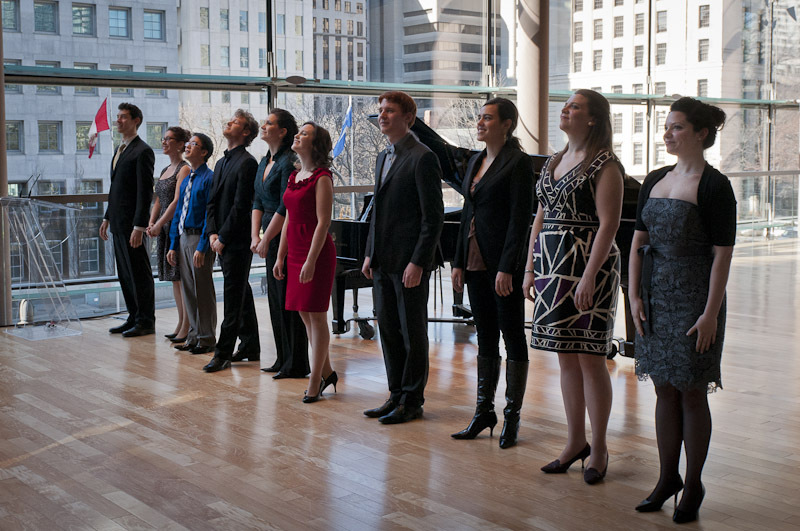 Young artist programs (YAP) are the opera world’s version of residencies. Thus, your day 27 challenge is to develop your skills and get noticed in one (or more) young artist programs. This business is hard and the chips are stacked against you for the most part. But, you know that you love it and you are going to keep pursuing it for as long as you are able. The most important part is to take responsibility for the outcome of your own career. Naiveté is not an excuse for a sluggish career. It is your responsibility to find the best teachers, coaches, and programs for what you specifically need. If you are following the 29 Days to Diva (#29daystodiva) challenges, you have taken an inventory of your strengths and weaknesses and you know your needs. Before you start dropping your hard-earned dollars on apps to every YAP under the sun – do some research. After having selected the type of program you want to do and being admitted; think about these points to get the most out of your young artist program experience. This is probably the best reason for doing a YAP. With both pay-to-sings and YAPs it is important to scrutinize the faculty and determine whether you would like to work with them. Get recommendations from your teacher, coach, singer friends, etc to which programs have great faculty members and how involved they are with the young artists. While participating in the program try to develop a good working relationship that can reach beyond just the time that you spend there. You must cultivate their friendship and not expect them to spoon-feed you throughout the process. Ugh. Can’t I just become an opera singer without having to do the rat-race of YAPs? Heard that before? I have. The rationality for participating in young artists programs is that you will develop your talent in a recognized environment. When an audition panel sees a season at Glimmerglass, Wolf Trap, Houston Grand Opera Studio, or Ryan Opera Center at Chicago Lyric Opera they are able to classify and categorize your ability. That may seem vexing at this point, but it is a necessary evil. Authority figures will take their background knowledge about that program and apply it to you. Talk up your YAP while in attendance. You do not have to be a pushy salesman to reap the benefits of self-promotion. I am sure you will be excited about the happenings at your YAP, so tell someone at the coffee shop around the corner. Sure they hear it all the time. However, genuine enthusiasm is contagious. Be a smiling face for the program and start building relationships both with other participants and outside which will help raise awareness of your program in the community. If you bring more recognition to the program, the program will certainly start to recognize you more as well. Other than developing mentor relationships, this is the obvious reason to go. You could go on developing your skills at home with the same teacher and same companies. The beauty of participating in a YAP is that you are going outside your comfort zone and working with new people and new ideas all the time. You may find that you suddenly understand a concept your teacher has been trying to convey because it has been explained in a different manner. The condensed time-frame of the program also does wonders for soaking up information quickly. YAPs focus on acting, stagecraft, vocal technique, business of music, language study, diction, and many other areas. Prepare yourself to soak up information and then separate what works for you and what does not. Interacting with all the other people at your YAP will also give you more insight into trends in the field. Make friends! I went to one of the larger European YAPs years ago and one of the best things that I have taken away from the experience are the friendships I made while in attendance. Many of those singers that I met now have national and international careers with A and B-level houses and are great auxiliary singing team members. They can give advice and share the struggles with you. Many young artists programs fall into that category of “paying your dues.” Do not be afraid to lend a hand on stage or lend a voice to the chorus as long as you feel it will not damage your position within the YAP. Each of us are responsible for bringing excellence to the program and fellow participants. If you are in an outreach program you will quickly learn that the work goes faster when everyone pitches in. Look for any additional opportunities you can scrounge up while attending your YAP. Do not wait for things to be handed to you or for someone to tell you that you are good enough. The point is to get better. The way you get better is to learn more, fail more (not that you will fail – but that’s a way you will learn), and perform more. Sing on as many masterclasses and concerts as you can. 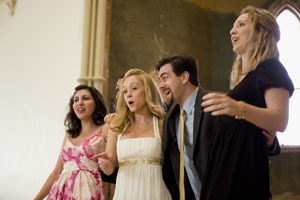 Look for churches in the area to sing for while you are on location. Are there any local directors or conductors that you could audition for while you are there? Furthermore, take more repertoire! Take a lot of stuff that you are ready to perform at a moment’s notice for the church gigs and young artist recitals. Also take repertoire that you would like to learn. Take ensemble works too and find other people willing to put it together. These are invaluable moments of time to practice and learn without the distractions you have at home. These are just the many ways to demonstrate to yourself and the directors your initiative, creativity, and value as an artist. do not worry. Like I have written before, every singer takes their own path. This is just one of the ways that most singers have found success by climbing through the ranks, developing their skills, and cultivating good contacts. The point is that you need to continue learning and growing. You will need to find safe and successful environments that help you achieve those goals. You will need to find mentors that help you widen your professional circle and can aid you in creating some buzz about your talents. YAPs are most simply and incubator for all of the challenges and skills we have discussed during 29 Days to Diva. Tell me about your young artist program experiences in the comments below. Did you like it? Did you cultivate any mentoring relationships? What is your advice to singers looking for this type of voice experience? Are there other ways to get this type of focused education without participating in a young artist program? Interested in more thoughts on Young Artist Programs? Joyce DiDonato has a great blog post here about coaching a couple young artists in Chicago.